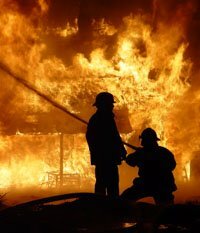 If you have determined that your home is at potential risk of fire and are wanting to create a Fire Plan there are several major considerations to help you to decide whether to stay or go, before you even undertake an Assessment of your Property. The age and physical ability of the occupants of your home. Any plans to stay should not include the elderly, intellectually disabled or children under the age of 16. Will you be alone to defend your property? Two or more adults able to cope with both the physical and mental stress of defending the home are required. Do you have pets and/or livestock to consider? Is your home and car insurance up to date? Does your area have a Township Protection Plan? A Fire Plan should be written down, understood and practised by ALL members of your household. CFA Website , or by calling 1800 240 667.